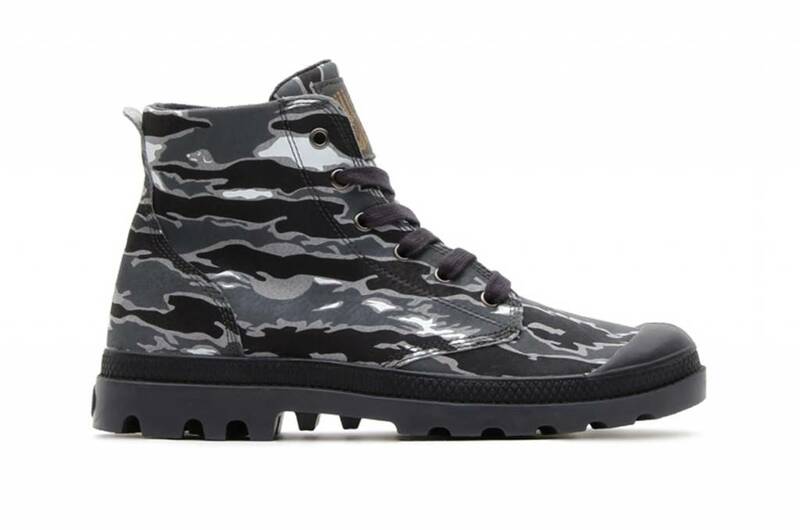 The creative collaboration between Palladium and Billionaire Boys Club has led to this cool Pampa Hi Lea Camo. The leather motif is beautifully finished with flexible leather and on the tongue stretches the logo of the BBC. Choose a stylish look with our Pampa Hi boots. This high-top men's shoe inspired by the sneaker has a top and lining of canvas. The single-piece rubber sole gives an excellent grip when exploring the city. The EVA footbed and the tight heel provide lasting support.